Walker & Company, 9780802715074, 230pp. Lawrence Goldstone throws new light on the framing of the U. S. Constitution in this intriguing chronicle of the Constitutional debates, bringing to life the remarkable range of personalities and rivalries that forged the foundation of our country. 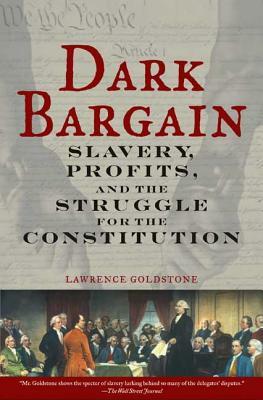 The Constitutional Convention of 1787 is generally viewed as dominated by the likes of Madison, Mason, Gouverneur Morris, and a few others; in fact, as Goldstone shows, relative unknowns like Rutledge, Ellsworth, and Sherman took over the debate and forged its eventual outcome. He also reveals how the debate over slavery was not split along North-South lines. Goldstone has written, along with his wife Nancy, several other books including Out of the Flames, The Friar and the Cipher, Used and Rare: Travels in the Book World, and Warmly Inscribed: The New England Forger and Other Tales.